Item #28444 : Original era manufacture. 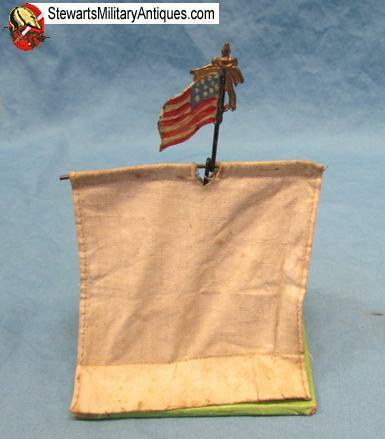 We're not exactly sure the true age of this neat little tent, or the country in which it was made. 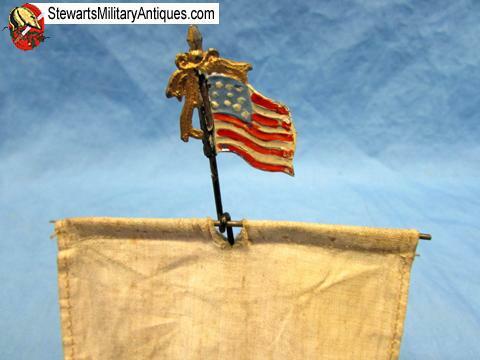 There is a great looking, handpainted American flag attached to theupright pole of the tent, which is also attached to the ridge pole and allows the thing to be set up for display. 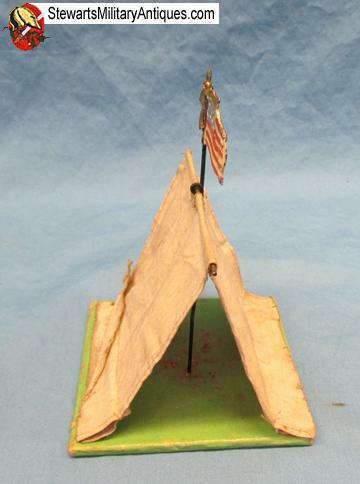 A great looking little tent which would be perfect for dimestore soldier displays.